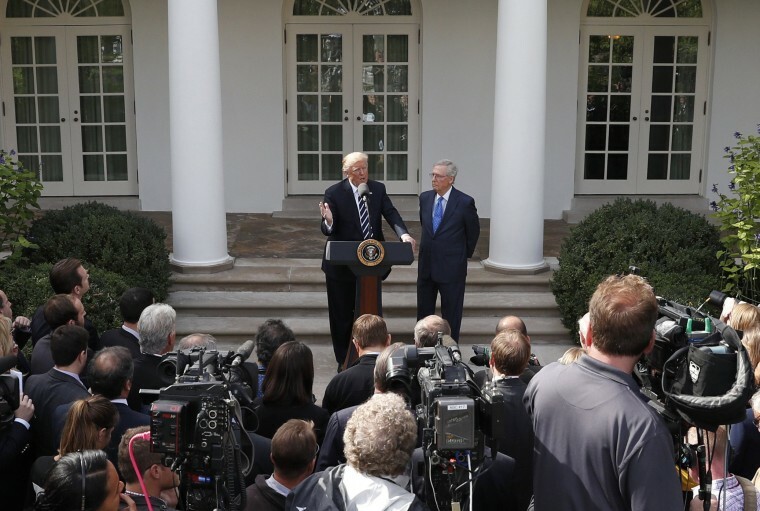 President Donald Trump spoke on what seemed like every issue under the sun during an impromptu news conference in the White House Rose Garden on Monday. Trump, standing alongside Senate Majority Leader Mitch McConnell, responded to shouted questions from reporters on dozens of subjects including tax reform, the NFL protests, Hillary Clinton and whether he was thinking of firing special counsel Robert Mueller (the answer was no). "I've written them personal letters. They've been sent or they're going out tonight, but they were during the weekend. I will at some point during the period of time call the parents and the families. ... If you look at President Obama and other presidents, most of them didn’t make calls — a lot of them didn't make calls — I like to call when it's appropriate, when I think I'm able to do it." “I do believe Cuba’s responsible. I do believe that, and it’s a very unusual attack, as you know, but I do believe Cuba’s responsible."